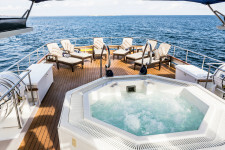 Worth’s Luxury Yacht Charter Galapagos 8 Day itinerary explores the absolute best of this incredibly unique haven of exotic nature. 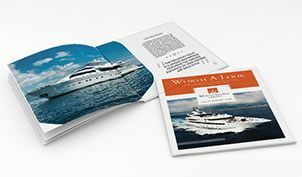 Worth Avenue Yachts has the honour of chartering STELLA MARIS to our clients, the only privately owned luxury charter yacht in the Galapagos Islands. 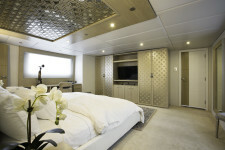 STELLA MARIS offers her guests the utmost luxury, in one of the most pristinely natural locations in the world. 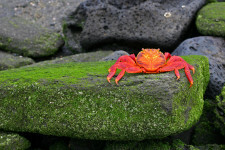 SAN CRISTOBAL ISLAND: This island bears the name of the patron saint of seafarers, “St. Christopher”. It has an area of 558 square kilometers and its highest point rises to 730 meters. 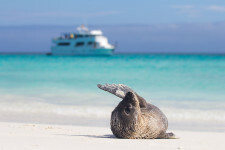 This island hosts frigate birds, sea lions, giant tortoises, blue and red-footed boobies, tropicbirds, marine iguanas, dolphins and swallow-tailed gulls. LOBOS ISLAND: Located on the north Coast of San Cristóbal Island; the trail at this visitor’s site can be done in about three hours, including the panga (dingy) ride. The site offers an excellent landscape, a long powder-like sandy beach where one can swim and snorkel with an excellent view of Kicker Rock on the horizon, there is a lagoon where the visitor can watch different species of coastal sea birds. KICKER ROCK – * DIVING OPTION *: Is located just off the west coast of San Cristobal Island, and is the remains of a lava cone eroded by the ocean. Two vertical rocks rise 500 ft above the ocean and form a small channel that is navigable by small boats, whilst the cliffs are home to many boobies, frigates and tropicbirds. Under the water, the channel with a sandy/ rocky bottom reaches approx. 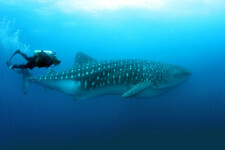 19 meters and is one of the best places in Galápagos to spot the elusive Galápagos sharks. 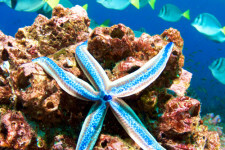 Spotted eagle rays, green sea turtles and white tip reef sharks also like to glide against the current through the channel, as well as a large variety of colorful reef fish. 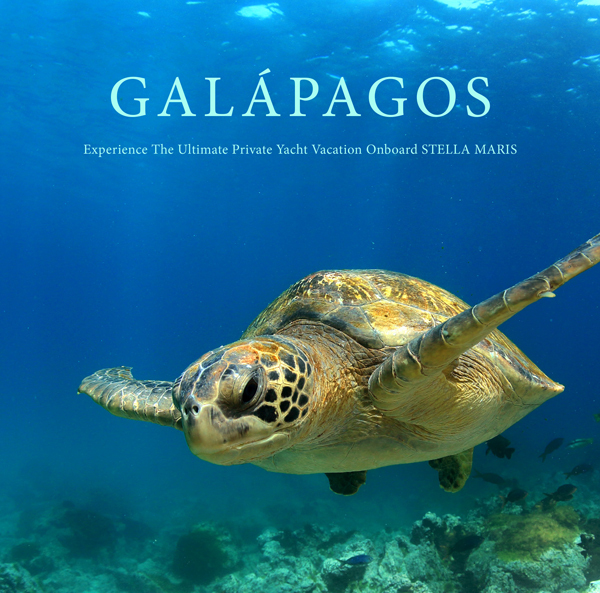 This is the place to see the hammerheads cruising the currents, sometimes accompanied by the Galápagos sharks. An awesome sight to see. 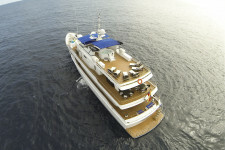 PITT POINT: Is located at the east end of San Cristóbal Island. The trail includes an olivine beach approximately 90 meters and a trail that ascends to the top of a volcanic tuff hill passing through several natural viewpoint. This is the only site in the Galapagos Islands, where you can watch the three species of boobies and 2 species of frigates nesting in the same area. The reason that there are three species of boobies at Punta Pitt is due to the geographic location; there is enough food so there is no competition between them. WITCH HILL: Located on the northern coast, this eroded hill and its surroundings present one of the most picturesque beaches in the Galápagos with its white powdery sand and the abundance of animals. 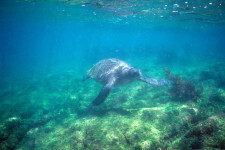 Wildlife includes sea turtles, rays, and various types of booby birds. The clear water provides an excellent opportunity for enjoying swimming and snorkelling. 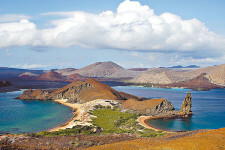 GARDNER BAY: Is located on the north Coast of Española Island. The visiting area is defined by two beaches. 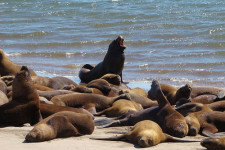 The main attraction is the colony of sea lions, which inhabit the beach in great quantity during the breeding season. SUAREZ POINT: Is located west of the Española Island. Española is known as one of the older islands, with an estimated age of 3.3 million years. Basaltic lava rocks cover much of the island. 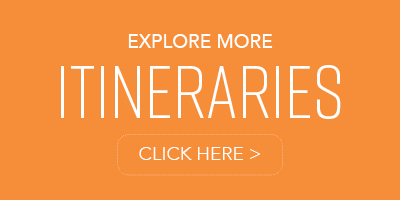 Albatrosses are present in Española from April to November or December, marine iguanas, the Galapagos hawk, a variety of mockingbird, lava lizards, Darwin’s finches are considered endemic to this island. Besides the wildlife on this island a major attraction is El Soplador (a blowhole) located on a cliff, the water rises up 20 to 25 feet, depending on the intensity of the waves. CORMORANT POINT: is located on the north Coast of Floreana Island. 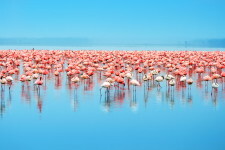 The trail has an approximate distance of 720 meters; the trail leads the visitor to viewing site above a lagoon where one can observe a large colony of Flamingos, the same path will end in a white sand beach which is a nesting area for sea turtles, large amount of rays and sea turtles can be seen on the shore as well. POST OFFICE BAY: is a historic site that recalls the days of the whalers, when they came for supplies of Galapagos tortoises and water. Presumably a whaling boat captain placed a barrel in the eighteenth century for those who pass through the bay to leave mail and deliver those with the same destination. Another point of interest is a lava tunnel; the path to the cave is clearly marked. NORTH SEYMOUR ISLAND: Its name was given after an English nobleman, Lord Hugh Seymour. It has an area of 1.9 square kilometers and a maximum altitude of 28 meters, just north of the Baltra Airport is the small islet of North Seymour which was created by seismic uplift, rather than being of volcanic origin. North Seymour is an extraordinary place for breeding birds, and is home to one of the largest populations of nesting blue-footed boobies and magnificent frigate birds. 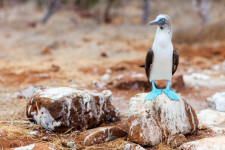 Pairs of blue-footed boobies can be seen conducting their mating ritual as they offer each other gifts, whistle and honk, stretch their necks towards the sky, spread their wings, and dance showing off their bright blue feet. BARTHOLOMEW ISLAND: Bartolomé Island is a volcanic islet; it is one of the “younger” islands in the Galápagos archipelago. 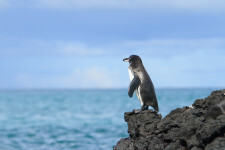 This island is one of the few that is home to the Galapagos penguin which is the only wild penguin species that lives on the Equator. GENOVESA ISLAND – EL BARRANCO: The visitor site of El Barranco is located in the southern part of Darwin Bay on Genovesa Island. The trail is on volcanic rock that has a length of 1.5 km, everywhere one looks, there are masked boobies on the ground and Red-Footed boobies in the trees. Snorkeling can be done at the beach or alongside the cliffs. The water inside the bay is very rich in nutrients, so one never knows what may be encountered. DARWIN’S BAY: Located on Genovesa Island its initial highlights are the nesting colonies of the common frigate, the Nazca booby and the swallow-tailed gulls. 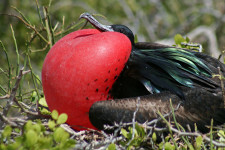 We also find here nests of red-footed booby, which is the largest nesting colony of Galapagos for pelagic bird. SOUTH PLAZAS ISLAND was formed by lava up streaming from the bottom of the ocean. Despite its small size it is home to a large number of species and it is famous for its extraordinary flora. 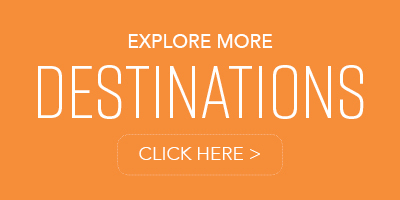 That is why this island is very popular with visitors. 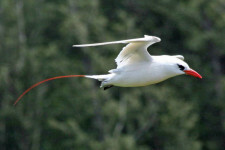 On the steep banks it is possible to see a great number of birds such as nesting Red-billed Tropicbirds and Swallow-tailed Gulls, but most of all, enjoying the beautiful view from atop the steep banks or strolling along the base of the cliff is an extremely pleasurable experience. Very attractive are the beautiful prickly pear cactus trees (Opuntia echios) and of course the large colony of Galapagos Land Iguanas. Depending on the season, the Sesuvium ground vegetation changes its color from intense green in the rainy season to orange and purple in the dry season. SANTA FE ISLAND: (Barrington Island). Named after a city in Spain, it has an area of 24 square kilometers (9 sq mi) and a maximum altitude of 259 meters (850 ft). Weathered cliffs provide a haven for swallow-tailed gulls, red-billed tropic birds and shear waters petrels. 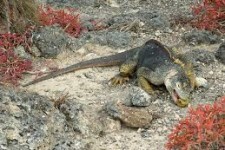 Santa Fe species of land iguanas are often seen, as well as lava lizards. SANTA CRUZ ISLAND: given the name of the Holy Cross in Spanish, its English name, Indefatigable Island, derives from the British vessel HMS Indefatigable. It has an area of 986 square kilometers (381 sq mi) and a maximum altitude of 864 meters (2834 ft). Santa Cruz is a large dormant volcano, situated in the center of the archipelago. TWIN CRATERS – BALTRA: This area has received much use in recent years due to several trails created that lead to the two craters. Guides are asked to use only the National Park trail to avoid further erosion and deterioration of the area. In 1989 a circular path around the largest crater was opened, which passes through the interior of the Scalesia forest, an excellent place to observe land birds, especially the woodpecker finch and the vermillion flycatcher.